If you spin the wheel, you must drink what it lands on. Ended my Thursday night by spinning the Wheel o’ Drank at The Pearl. 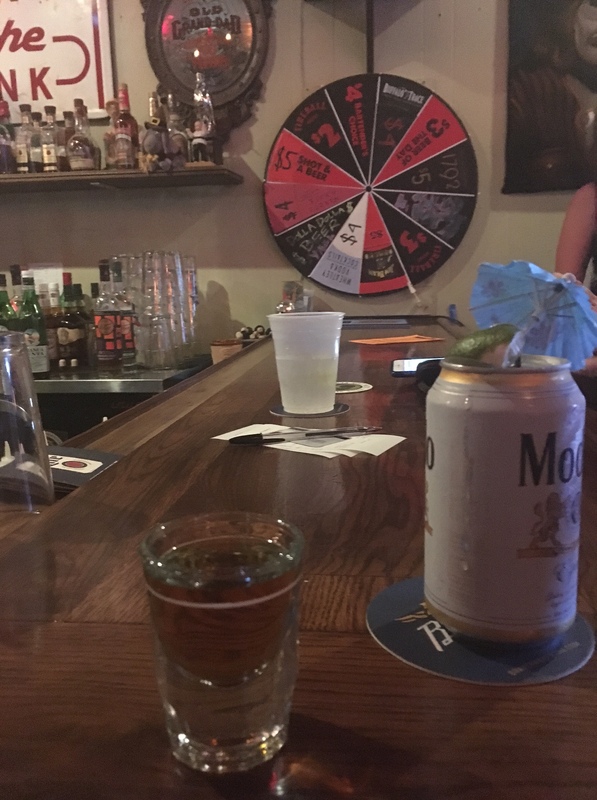 I landed on the lucky $4 shot of Buffalo Trace, while my buddies got a vodka and a Modelo.